Release Date:07/13/2018;Notes:LP version. 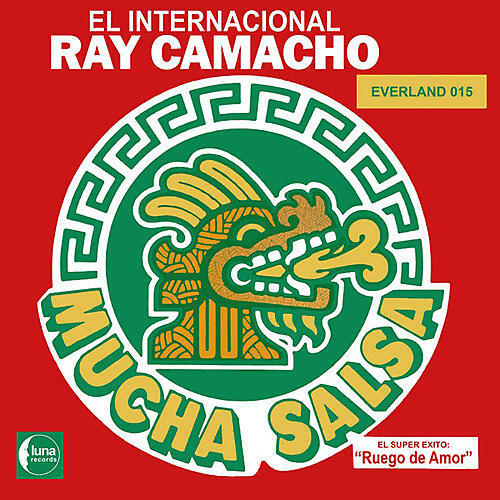 Everland present a reissue of El Internacional Ray Camacho's Mucha Salsa, originally released in 1978. This very productive trumpeter and bandleader hails from El Paso, Texas. Mucha Salsa from 1978 is essentially an obscure salsa set from Ray Camacho - an artist who always seems willing to mix up styles in his music. That's definitely the case here, as Ray mixes straighter Latin modes with a few border touches - creating a hybrid of New York and Mexican modes that's pretty unique - but which also has some occasional funk and soul currents that are probably the record's strongest suit. Ray plays trumpet off course and the rest of the group includes guitar, trombone, and plenty of percussion - plus sax and piano from Manuel Palafox, who also handles arrangements. Titles include a great cover of "Low Rider", dubbed "El Pachuco", the Latin funk number "Tomas Al Timbal", and a funky take on Brass Construction's "Movin On". Plus the oh-so sweet cover of Aaron Neville's classic ballad "Tell It Like It Is" here named "Dime La Verdad". This carefully prepared record is the first proper reissue in 40 years of this amazingly diverse project. In all it's original glory.